THERON MOORE got to put on his anti-rad suit this week so he could head into the reactor and chat with up and coming thrash band NUKEM! 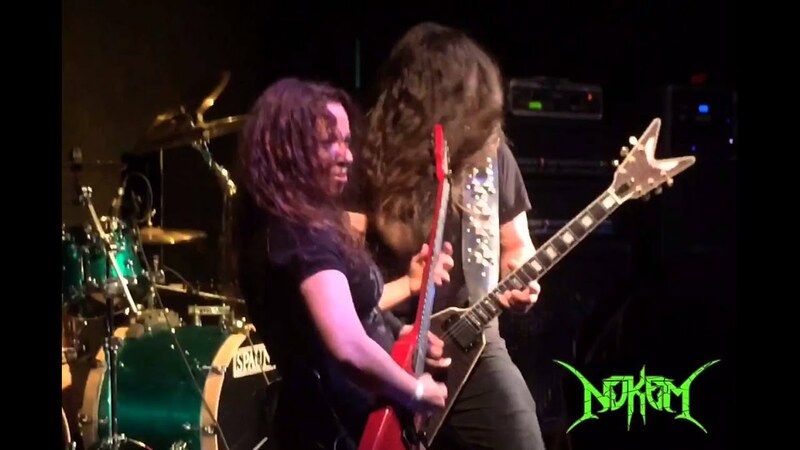 With fallout approaching dangerous levels of toxicity, he spoke to band mastermind STEVE BROGDEN about Nukem's dedication to the traditional ways of thrash, their brand new album and their struggle to keep the music pure. If our scene is to survive, we need new blood like Nukem, so check out our interview and give 'em support! BIG news as I promised last week. I got a hot interview with returning rabble-rousers SUPERJOINT...more specifically, their drummer JOEY GONZALES, who was a real hoot to talk to. Also I will soon be able to reveal the name of the major wrestling personality I will soon be speaking to...a man who has worked with AWA, WCW, WWE and more! There should be more interview news coming shortly as well as news of the subject of my next Philm Phreaks article! Now for this week's Torture Chamber, which is jam-packed with big names! QUINTA ESSENTIA "Initiates of the Great Work"
SPIRITUS MORTIS "The Year Is One"